Every Step, Every Advantage, Every Millisecond Counts. The Streets Of The Sixth World Are Mean, And If They Want To Stay Alive, Shadowrunners Need Every Advantage They Can Get To Gain A Step On The Opposition. Fortunately, Run Faster Is Full Of Them. With It, You Can Learn About More Metatypes For Characters, Including Hobgoblins, Giants, Centaurs, And Sasquatch; Acquire New Qualities, Such As Disgraced, Hawk Eye, And Lightning Reflexes; And, If You Dare, Dabble With The Dangerous And Deadly Infected. Run Faster Also Has Advice On Fleshing Out Characters Of Different Metatypes, Expanded Contact And Lifestyle Rules, And Alternate Character Creation Methods To Help Ensure That Players Can Build Exactly The Character They Want. 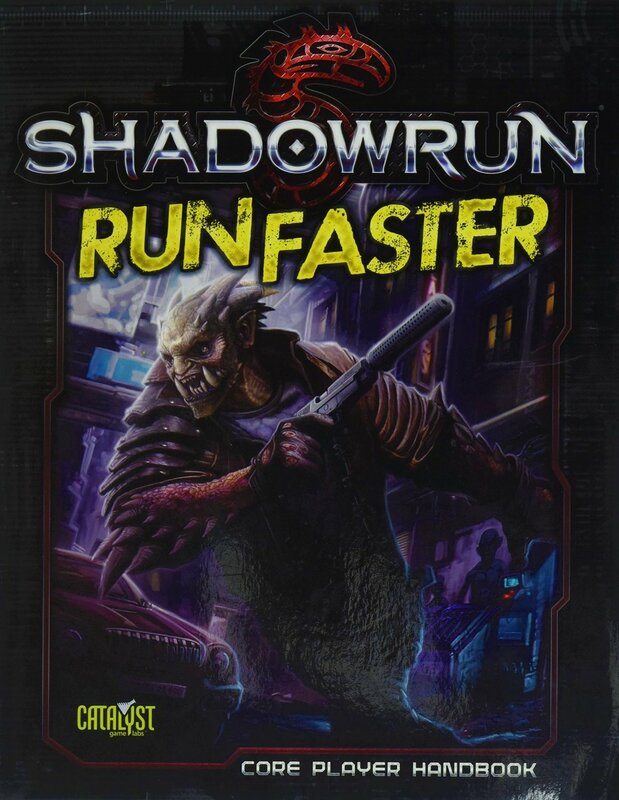 All These Options Make Run Faster A Crucial Companion To Players Who Want To Get The Most Out Of Their Shadowrun, Fifth Edition Core Rulebook.